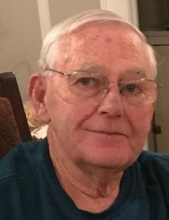 Larry Ray "Flash" Lingle, 68, of West Frankfort, Illinois, passed away Monday January 21, 2019 in Memorial Hospital of Carbondale at 7:59p.m. Larry was born January 26, 1950 in West Frankfort, Illinois to Charles and Irene (Curtis) Lingle. He loved his family, friends, and spent many hours laughing and enjoying life. Larry was a member of the IBEW Local 702 as a journeyman and wireman He served in the U.S Marine Corps during the Vietnam war. He also was a member of Northern Baptist Church - West Frankfort, Illinois. Larry loved Cardinals baseball and Illinois basketball. He served many years along with Bill McKee in Pony baseball. He loved nature and watching all of God's creatures in the backyard. Larry was loved by many family and friends. He was preceded in death by his father, Charles "Red" Lingle; father-in-law, Carroll Arview; brother in law, John Gardner. Larry is survived by his wife Mary Beth Lingle; mother, Irene Lingle; son, Craig (Amanda) Lingle; daughter, Missy (Danny) Broy; brothers: Gary (Cindy) Lingle and Terry Lingle; sister, Jeri Gardner; mother-in-law, Iva Arview; sister and brother-in-law, Dee and Kenny Patterson; sister-in-law, Elaine Kiesecoms; grandchildren: Micah (Nathan) Dodd, Jordan Kleine and Natalie Blevins, Maleah Broy, and Andrew (A.J.) Lingle; great grandson, Owen Kleine; special friends: Kim and Steve Newton, Janet and Mike Cloe; several nieces and nephews. Funeral services will be held at 2:00p.m. on Friday January 25, 2019 in the Union Funeral Home - West Frankfort, Illinois with Willard Strain and Michael Gunter officiating. Visitation will be held at the funeral home from 12:00-2:00p.m. prior to the service. Military rites will be conducted by the Marine Corps Honor Guard, American Legion Post 1961 of Orient, and Zeigler Post 177. To send flowers or a remembrance gift to the family of Larry Ray "Flash" Lingle, please visit our Tribute Store. "Email Address" would like to share the life celebration of Larry Ray "Flash" Lingle. Click on the "link" to go to share a favorite memory or leave a condolence message for the family.